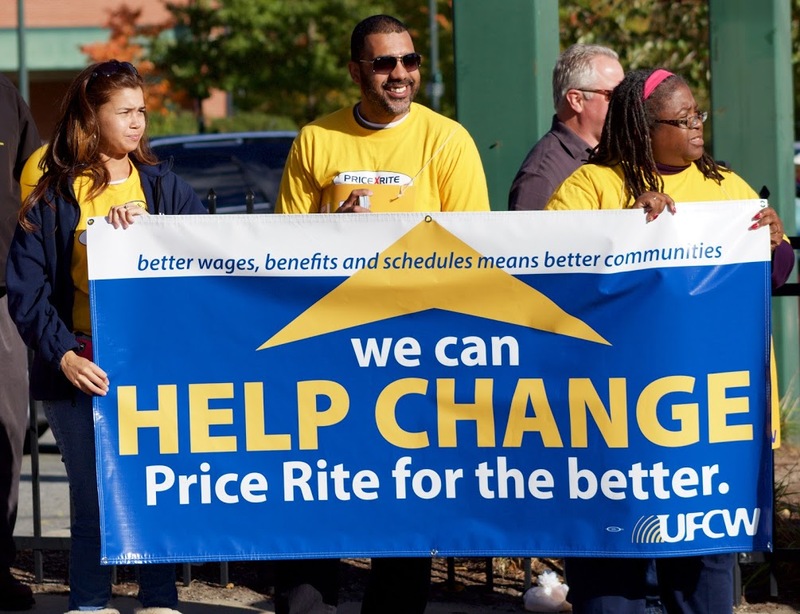 On Thursday, October 15, UFCW Local 328, Rhode Island Jobs with Justice and other national and Rhode Island labor organizations held a rally at the Price Rite on Valley Street in Providence as part of a region wide effort to change Price Rite for the better. Price Rite runs 58 stores across eight states, including seven in Rhode Island, and employs thousands of hard­working men and women. 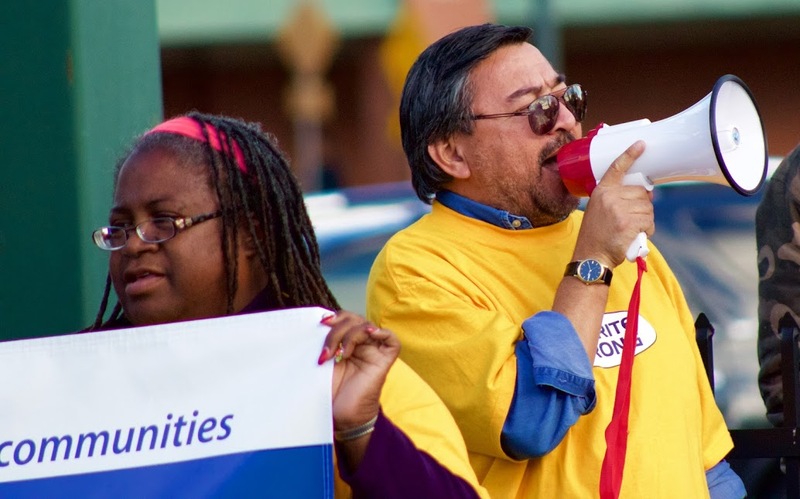 Among the issues affecting many of the workers in Southern New England are low wages, inconsistent scheduling, unpaid sick leave, and other poor employment practices proliferated by stores like Price Rite. “Price Rite not only hurts employees, families and their communities, but its low wage model hurts everybody in the retail industry,” said UFCW Local 328 President Tim Melia. 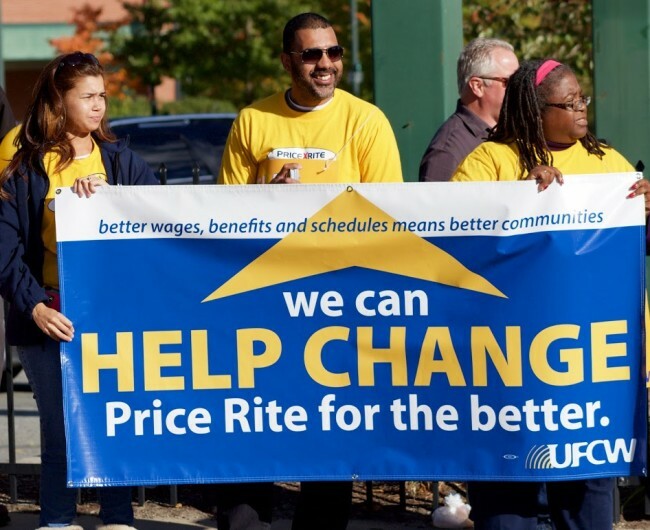 The campaign to “Change Price Rite for the Better” is part of regional and national effort to highlight the need for retail companies, like Price Rite, to pay the hard ­working men and women better wages, provide better benefits, offer consistent scheduling, and respect on the job. To view photos from the event, click here.